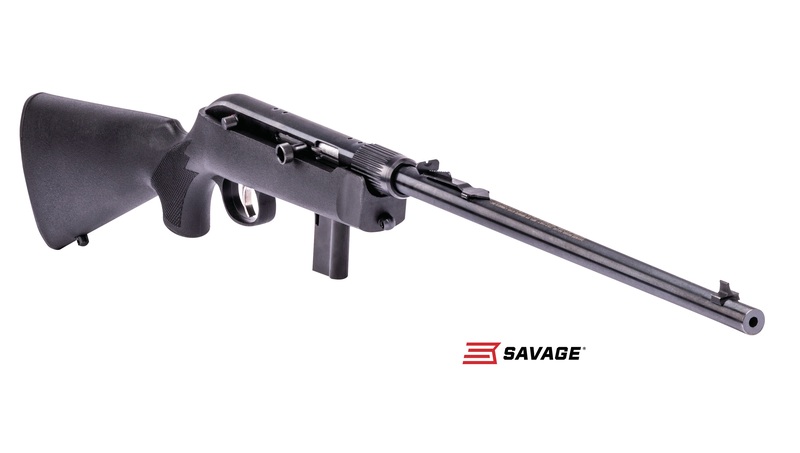 WESTFIELD, Massachusetts - March 27, 2019 - Savage’s new Model 64 Takedown offers great performance and ease of use. The new rimfire rifle is quick to breakdown and ready to go. Shipments of these firearms have been delivered to dealers. This easy-to-use 22 LR combines the accuracy and dependability of the original Model 64 semi-automatic platform with an easy takedown design, compact 16 1/2-inch barrel and Uncle Mike’s Bug-Out Bag. It puts rounds downrange and on target fast using a consistent straight-blowback action fed by a detachable 10-round box magazine.